While the NBA's biggest stars boast juicy earnings on and off the court it's their investments in the business and tech world that has seen the league's top one percent become even wealthier. According to Forbes, the NBA’s top 10 earners will make an estimated $US540 million this year from on-court salaries, endorsements, appearances, royalties and media deals. That amount is an increase of more than $US180 million from the list compiled in 2014. Los Angeles Lakers' star LeBron James is the biggest earner with $88.7 million ($A125m) in earnings, with $53m of that figure($A74.7m) made off the court. Warriors pair Stephen Curry and Kevin Durant round out the top three, with Curry, $79.5m ($A112m), and Durant, $65m ($A91.5m). Oklahoma City Thunder guard Russell Westbrook, $53.7m ($A75.7m), and Houston Rockets guard James Harden, $47.4m ($A66.8m), rounded out the top five. Everything has been on the up and up for James after he took control of his own marketing in 2006, and even though he copped plenty of flack for "The Decision" in 2010, LeBron and his team have learnt from their mistakes. James has gone on to establish his own Hollywood production company, SpringHill Entertainment, and is currently working on remakes of the films House Party and Space Jam in addition to his digital media company, Uninterrupted. James has also reinvented the traditional endorsement mode, with the LA star taking it to the next level with his stake in Blaze Pizza, by becoming an investor and franchisee. While Curry has formed a company, SC30, to manage all his interests and a also started a production company and signed a multiyear development deal with Sony Pictures Entertainment. 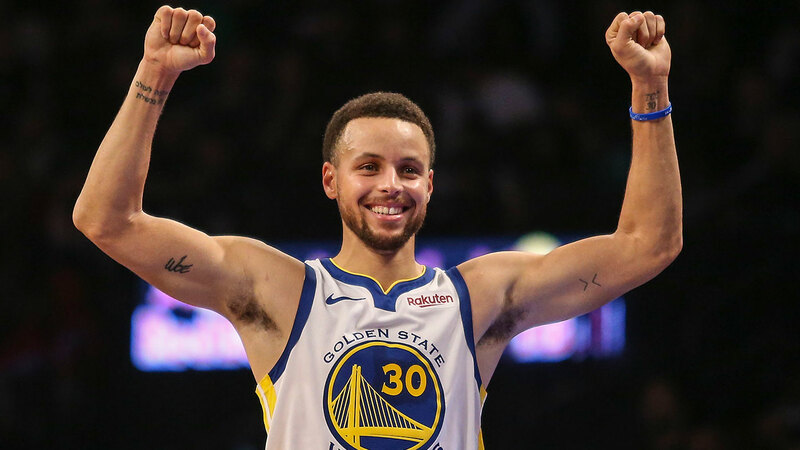 Curry teamed up with Facebook for a six-part original docuseries tracking Curry through the 2018-19 season. Houston’s Chris Paul ranks sixth, with Milwaukee’s Giannis Antetokounmpo, Damian Lillard or Portland, Detroit’s Blake Griffin and Paul George of Oklahoma City also making the top 10.